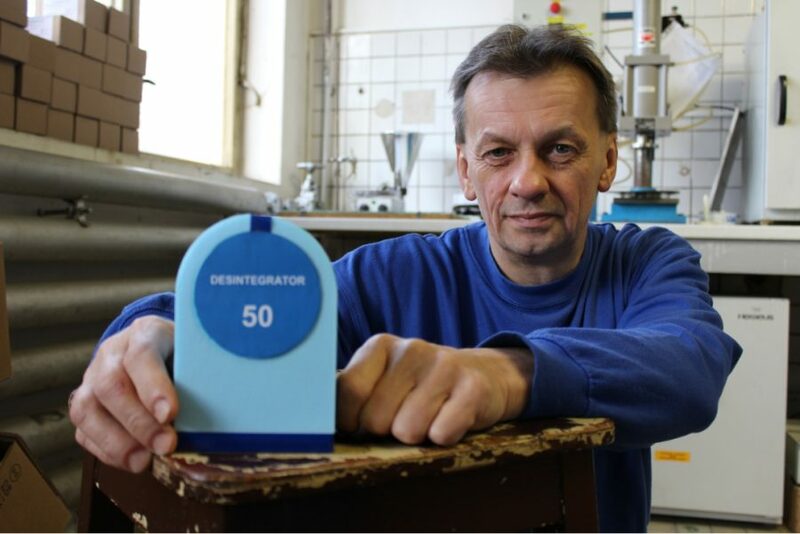 Ladislav Říha (*1956) is a chemist and head of a research group dealing with the development of plastic explosives known as Semtex. After studying chemistry in college, he started working in the Explosia factory in 1984 and later joined the Research Institute of Industrial Chemistry, which is part of the company. The Disintegrator is a machine that makes bomb disposal simpler and safer. 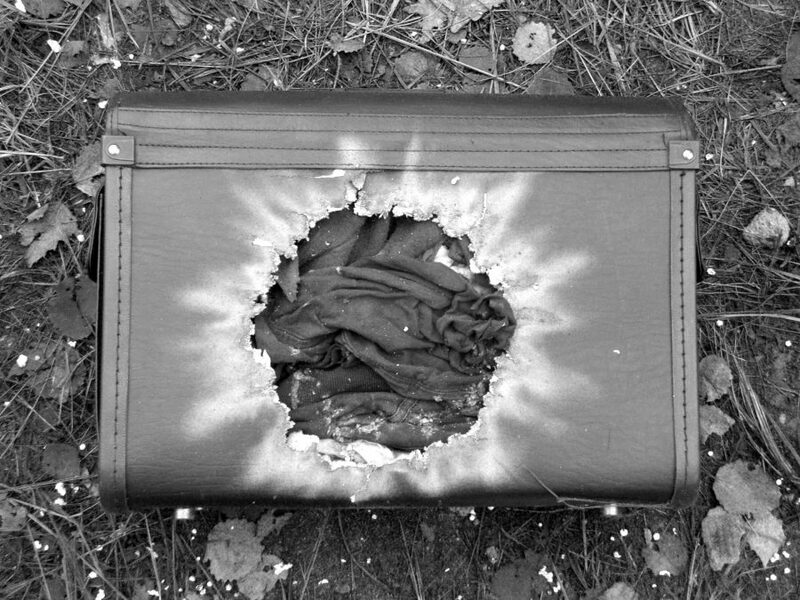 A hole in the baggage after Disintegrator intervention; Photo by Explosia a.s. 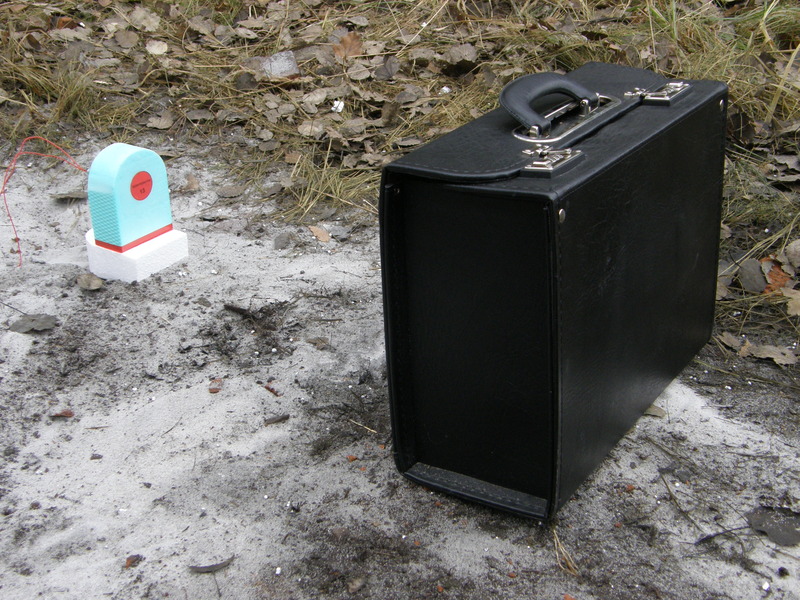 The Disintegrantor just needs to be placed close to suspicious baggage; Photo by Explosia a.s.
Ladislav Říha developed a device called the Disintegrator, which can disarm suspected luggage remotely. In a few milliseconds, the Disintegrator can break a steel case with a thickness up to 4 mm and dispose of the detonator without causing an explosion of the charge inside the luggage. The inspiration for the development of the Disintegrator came from a product from a foreign company; however, the devices are slightly different. Moreover, to prepare the other device is always lengthy and requires considerable practical experience with its installation. The Disintegrator, on the other hand, is very easy to operate. The stronger variation contains 50 g of Semtex; Photo by Explosia a.s. The Disintegrator contains several grams of explosives and a larger amount of heavy powder material. 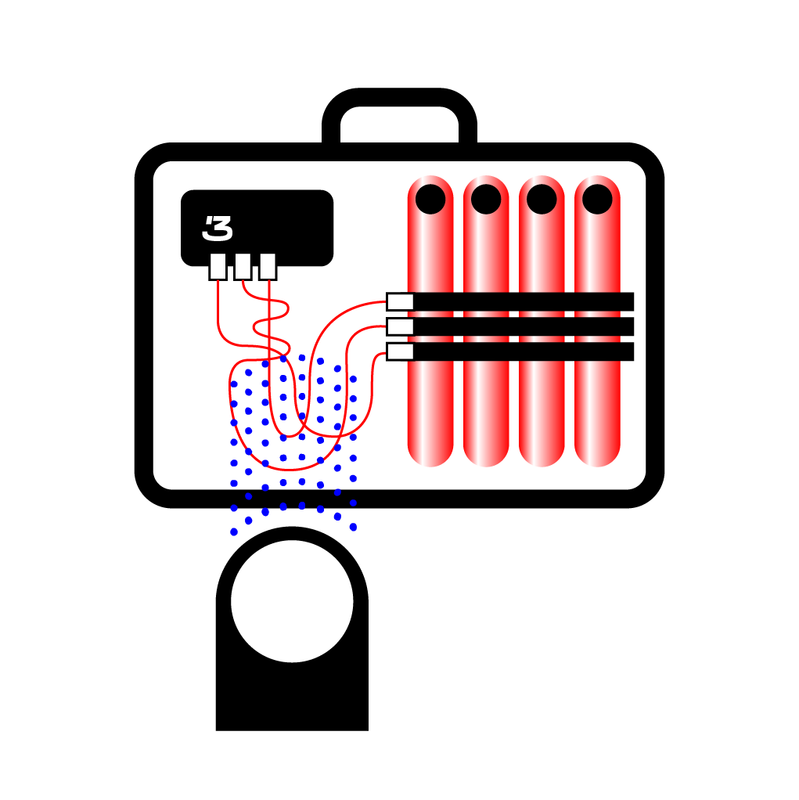 After the burst charge, a very fast cloud of heavy particles is created to break through the surface of the luggage. The cloud flies at such a speed that it destroys the igniter in the trunk or in the crate before the loaded charge can explode. Even if the detonator is triggered, it happens already out of the charge, and the luggage is only scattered by the cloud of heavy particles. The explosion from the “Disintegrator” is always directed to one side only, and after 150 centimeters it loses energy, it is so weak that it can no longer cause any damage at this distance. can break a steel case with a thickness up to 4 mm. It can open, for example, a metal barrel or a wooden box and then safely scatter the remains around. There are no splinters from the box or barrel, so the suspicious objects can be disarmed on site – in an airport, railway station or residential area.